…if it were so, it was a grievous fault. And brilliantly, James Pegrum built it. The Globe theater is so iconic, as are the works of the bard, who watches from stage-left as his players bring his words to life. 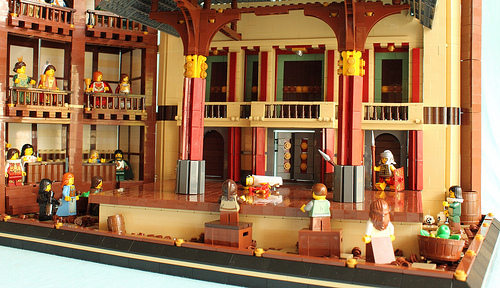 Shakespeare’s most famous fans watch from above as Caesar falls, his guards bursting on stage to witness the tragedy. I’d highly suggest taking in the larger version, and just absorbing the details.